This love story turned sour involves a hacky-sack circle, a man living in a tree and a shirtless hero. In short, it is the most San Francisco story you’ve ever heard. On Thursday, a San Francisco man named Christopher Hall was found innocent of breaking into his ex-fiancee’s house in late March and attacking an apparent new beau. Charged with two felonies, Hall, 31, would’ve faced more than seven years in a state prison if found guilty. The story began on Feb. 1, where Hall and the woman — whose identity has not been revealed — met at a hacky-sack circle and quickly hit it off. After just two weeks, they announced their engagement. 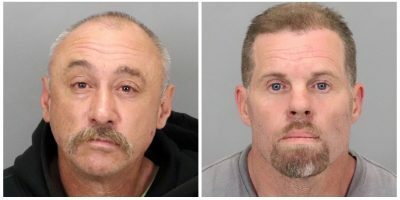 The relationship, though, quickly turned sour, and Hall broke off the engagement on March 25, according to a press release from the San Francisco Public Defender. On this “chaotic and confusing night,” Hall took some of his belongings and moved out of his 34-year-old fiancee’s house into a tree at McLaren Park. But as the night grew colder, Hall decided to return home. When Hall realized his ex-fiancee was not there, he curled up under a tarp in the backyard bushes. The situation escalated when the pair heard noises outside. Armed with a knife and frying pan, the two investigated the situation in the backyard. When the woman saw Hall, she ran back to the house with the friend, and Hall followed closely behind. Despite the woman’s attempt to lock the door on her former fiance, Hall managed to open the door and demanded to know the companion’s identity. According to the press release, a fight ensued between Hall and the man, which lasted 90 seconds before Hall was put into a headlock by the man — a former U.S. Marine. As this happened, the woman ran to a neighbor and informed him Hall was going to kill the friend, said Streets. The neighbor, shirtless and armed with an aerosol can of bear repellant, ran over to the house to help. When the woman and neighbor arrived back at the house, they found the two men sitting together and talking calmly. The trio escorted Hall out of the house, but the former lover later returned and kicked the door. This prompted the neighbor to open the door and spray Hall in the face. After a final rock hurled towards the door, Hall left the scene and was arrested hours later. Hall was charged with two felonies: first degree burglary with the intent to commit assault and assault with force to likely produce great bodily injury. After a three-day trial and Thursday’s three-hour deliberation, a jury acquitted Hall of all felony charges, and convicted him on one count of misdemeanor vandalism. According to the press release, the jury found Hall not guilty because they didn’t find Hall’s ex-fiancee to be a credible witness. Hall’s attorney, Deputy Public Defender Phoenix Streets, said his client couldn’t commit a burglary since he had the right to be in the building; he had paid rent, made home improvements and still had belongings inside.